Join two middle school teachers in their first post of a year-long series about implementing a PBL pilot program in their fifth grade classroom. 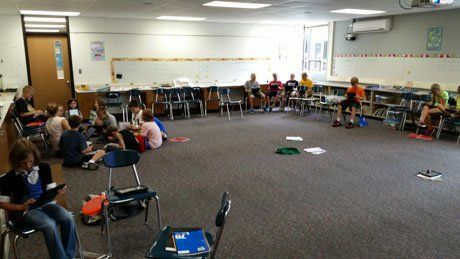 Editor's Note: Matt Weyers and co-author Jen Dole, teachers at Byron Middle School in Byron, Minnesota, present the first installment in a year-long series documenting their experience of launching a PBL pilot program. Are our current teaching practices rewarding compliance or student engagement? 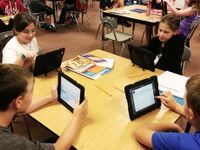 If our district is as successful as we believe it to be, why is there a growing percentage of students that do not demonstrate proficiency on state-level standardized tests? How might we develop a "Research and Development" branch of our district specifically designated to test these alternative teaching methods? Two years, several conversations, and a new District Strategic Plan later, the PBL pilot was on its way to being born. We approached the administration with this idea after the district and community co-developed a new Strategic Plan for Byron Public Schools that included the clauses, "Byron Public Schools will challenge the status quo and develop new norms for education by the year 2018," and "Byron Public Schools will leverage real-world tools and skills to develop in students a passion for learning." Fortunately for us, our administration was extremely receptive to this idea and encouraged us to develop the concept further. Minnesota's Achievement and Integration Program was established to close Minnesota's academic achievement and opportunity gap. Participating districts are to pursue racial and economic integration and to increase academic achievement, create equitable educational opportunities, and reduce academic disparities based on students' racial, ethnic, and economic backgrounds. In addition to these expectations, the "integration" part of this program asked us to find opportunities for our Byron students to collaborate with Rochester Public School students (a collaborative district). Seeing the benefits of this partnership, we applied for and were awarded the funds necessary for this innovative project. We couldn't be more excited! As we worked through the expectations of this program, we continued to see clear connections to the work of the team who attended the Innovative Quality Schools Conference. To best align with both Rochester Public Schools and the criteria of the Achievement and Integration Program, it was decided that the pilot would involve two fifth grade teachers (that would be us, Jennifer and Matt) who would teach almost exclusively using the project-based learning philosophy. To gain a better understanding of PBL, we attended a training facilitated by the Buck Institute for Education to help us with curriculum development over the summer. A classroom ready for furniture -- and project-based learning! Explicitly teaching character traits to help students develop "soft skills"
Develop authentic projects utilizing community connections to help us meet the criteria set forth in our District Strategic Plan. We discovered early on that our enthusiasm for this pilot was exhilarating, and that we would need it to buoy us over the hurdles we almost immediately started to encounter. The initial hurdles were large and numerous. The time and effort it took to start blending PBL philosophy with building grading systems, schedules, and a professional learning community (PLC) structure, along with developing parent communication for the pilot project (gathering resources, mapping projects to standards, and creating Moodle pages), has been astounding. For example, after working diligently all summer, the school year is upon us and we only have three projects planned to the extent that we deem necessary. We are completely confident, however, that the projects we have planned will offer students learning experiences unlike any they have ever encountered. The conversations our students will have when we ask them to fundraise for, and then manage, a Kiva.org microfinance portfolio; collaborate with the local nature preserve to develop informational websites to be placed on nature trail signage via QR codes; and use their knowledge of geography to develop and publish a survival plan in the event of the Zombie Apocalypse will be worth every minute that we've spent planning. On September 3, when the students arrived for the first day of school, we officially jumped headfirst into PBL, and neither of us could be more excited!